I shot this image one evening at a construction site on a photowalk earlier in the year. I was on the corner of 23rd Street & 5th Avenue. 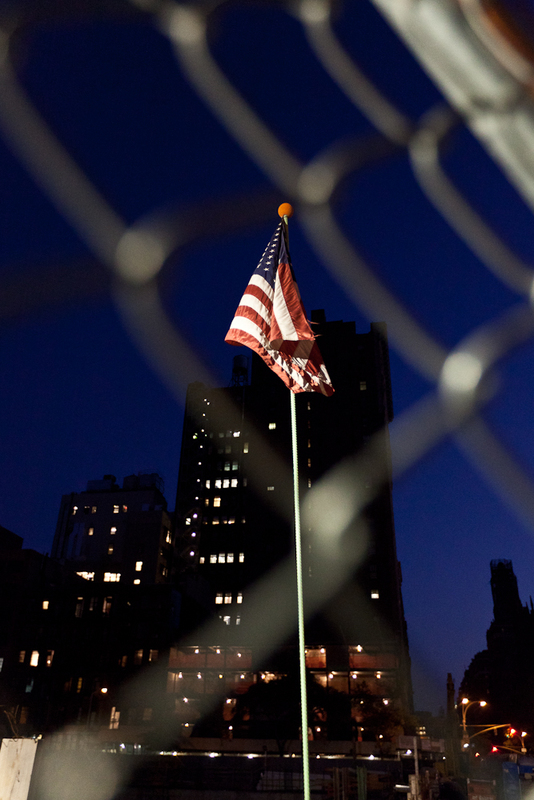 The flag was alighted by a spotlight offset by the beautiful blue night and skyscraper behind her. Notice that the image is shot through the fencing in the foreground. Happy Birthday and God Bless America. In looking back at some of my images while traveling in Europe last year, I came across this 9 exposure HDR shot I took when I first started playing with HDR as a format…Having lived in London, albeit a while ago, and spending a lot of time there over the years, I got to feeling a bit nostalgic…I guess it’s time for a trip back. 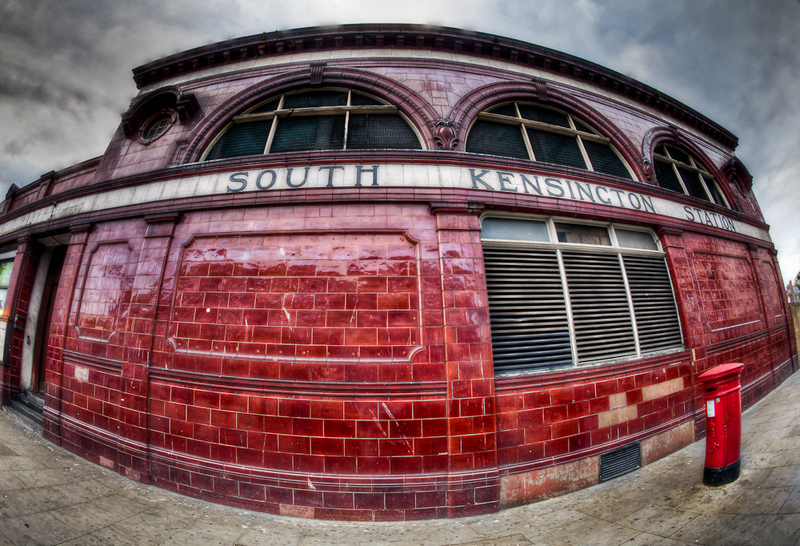 Somehow I always wind up in South Ken at this tube station…The red always stands out to me. And I think the fish makes it bit more interesting an image. 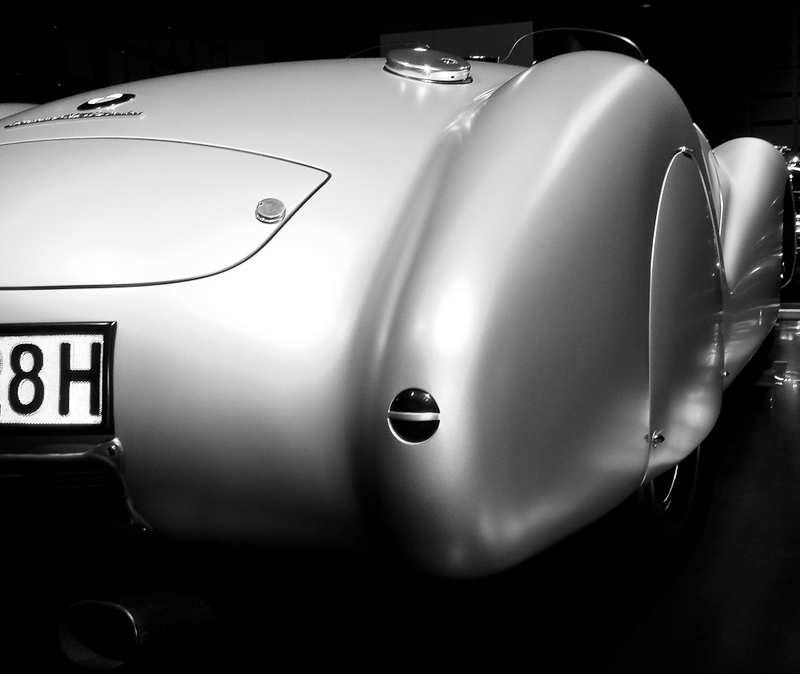 This is the famed 1939 BMW Mille Miglia Bugelfalte-Roadster. One of the only factory built cars to run in the famed race. Finally, a BMW to compete with the likes of Alfa Romeo. I own one Alfa (’73 Spider) and three BWM’s (’71 2002, ’72 3.0 CSi, ’08 E60 M5). All icons of each marque. The ’39 328 struck me as such a work of art, so beautiful with its curves, the color, the patina, the leather, the position of the gas tank cap, the wheel covers, the exhaust pipe, and yes, those ever so subtle tail lights…everything, from a time when automobile design was truly an art form. This past summer I had the chance to spend a few days in Paris on my way to Prague, after a few days in Koln/Cologne, Germany. I figured I’d catch some summer sun in the City of Lights and was not disappointed. I really stopped in to shoot the Tour de France final stage as the big boys of summer rode into Paris. 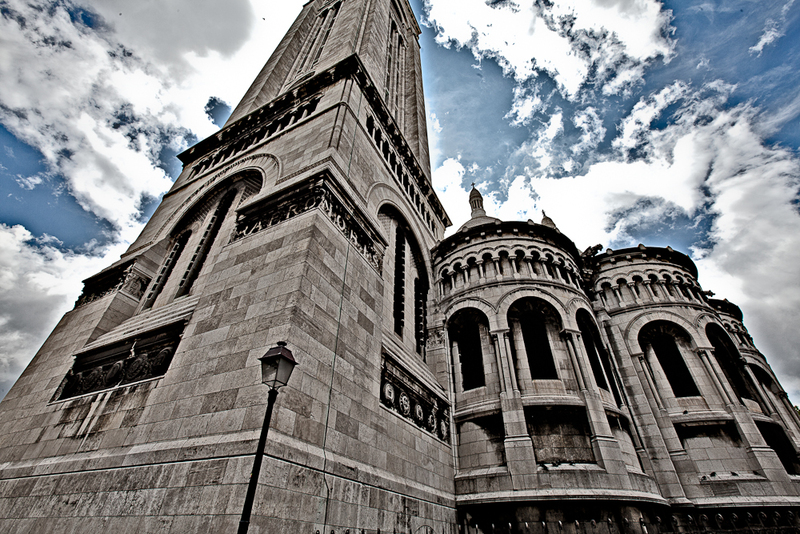 I had a day on either side of the final stage to shoot around and so I took the metro up to the Sacre Coeur to take some images. This is a 9 exposure HDR image of the back side of this beautiful structure. All the activity is in the front of the cathedral overlooking the city. A stroll to the back found me at 180 degrees of the mayhem with deserted streets and a quiet calm that allowed me to fire off many many sets of brackets. I will publish more of this Paris swing. I spent much time last year in Koln, Germany for business. A few things really stand out for me from the many visits and getting to know this beautiful city more than just passing through to see the famed Kolner Dom, the Dom Catherdral. The beer. The wurst. The wienerschnitzel. The people. The Killepisch. The long-standing feud between Koln & Dusseldorf. And of course the Koln train station. I got to loving Kolsch at the local beer halls and bars, eating the delicious local cuisine, and meeting some of the nicest people around. My good friend, Philipp Schaffer, is one the the young guys in the city that really knows his way around, especially at Karnival time. If you have not experienced Karnival in Koln, put it on your list of the 100 things to do in your life. A cross between Mardi Gras and Halloween. VIVA KOLONIA!!! As I was making my way through the train station toward the end of the platform, I was struck by how accessible one side of the tracks were. Not one to shy away from getting the shot I want, I walked down to an area that framed out this image just as I envisioned it with the complete and seeming mayhem of the criss-crossing tracks and overhead wires. The trains were humming through and I waited patiently until they were all gone, save for one last local commuter rail train pulling in to the station. 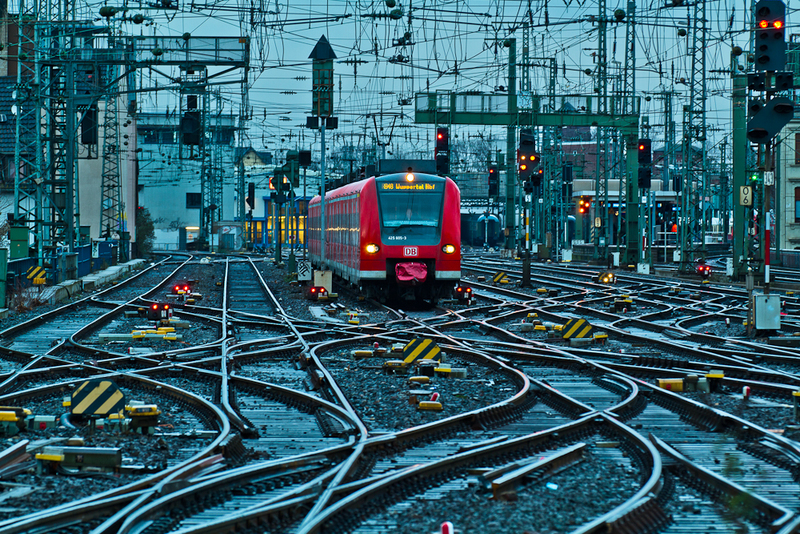 How do they know exactly which switch to pull to get the train onto the right track? Really amazing.